When Charles Daly bought his 1985 Pontiac Fiero, he was prepared to suffer with the less-than-ideal factory stereo system. 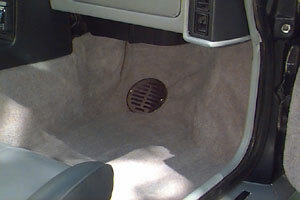 The Fiero has unusually-sized factory speakers and absolutely no room for any kind of system enhancements. 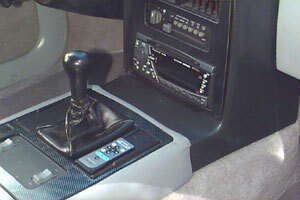 However, after falling in love with the car, he found a way to upgrade the sound  without modifying the car in any way. Charles began by replacing the factory receiver with the Pioneer DEH-P77DH, a GM-sized (3" tall) CD receiver with excellent power (22 watts RMS/45 peak x 4), built-in crossover and equalizer capability, and independent volume control for the subwoofer preamp outputs. Pioneer's Supertuner III provides top-notch AM/FM reception  an important feature in rural Maine. 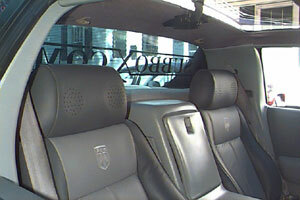 Charles installed the Pioneer TS-A4103 2-way 4"x10" speakers in the factory dash locations. With a little improvisation, Charles managed to replace the factory headrest speakers with two sets of Polk EX351a 3-1/2" speakers  no easy task! All speakers were powered by the Pioneer receiver's strong internal amp (22 watts RMS/45 peak x 4). The sound was vastly improved, but still missing the powerful low frequency performance that Charles wanted. Local installers scoffed at his request for more bass, but some old-fashioned Daly ingenuity saved the day. After much trial and error, Charles managed to design and build an enclosure to fit in the Fiero's spare tire well in the front compartment (the engine's in back). The box houses a Polk EX Series II 10" subwoofer, powered by 140 watts RMS from a Rockford Fosgate Punch 150a amplifier mounted behind the driver's seat. 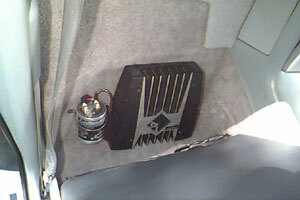 A tube from the sub enclosure runs through a port in the passenger side floor board (the only modification made to the vehicle), allowing bass to travel directly into the cab for increased impact. 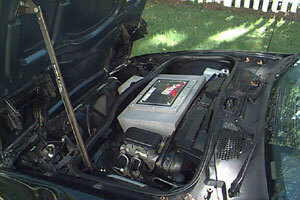 A 1/4-farad Lightning Cap ensures a constant supply of power to the Punch amp, and eases the strain on the Fiero's electrical system. Charles reports that he receives raves on the sound of the system wherever he goes. Sports car and small car owners everywhere, take note! With a little planning and experimentation, Charles Daly's fabulous Fiero is soundin' phat! 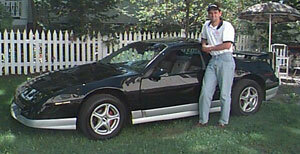 Charles Daly with his 1985 Pontiac Fiero. The Pioneer DEH-P77DH CD receiver sports MOSFET45 internal power and built-in crossover/equalization capability  an excellent choice for getting the most out of the limited space in the Fiero. The port on the passenger side floorboard connects directly to the custom-built subwoofer enclosure for some kickin' bass! Charles replaced the factory headrest speakers with two pairs of Polk Audio EX351a 3-1/2" speakers  it's almost like wearing headphones. The Rockford Fosgate Punch 150a2 amplifier (with the help of a 1/4-farad Lightning Cap) punches out a healthy 140 watts RMS of bass power. Charles designed and built this custom enclosure to house the Polk EX104 10" woofer. Every cubic inch of space in the front storage compartment is utilized! ...what i wouldnt give to have that sub box in my 87 GT Fiero lol. Love this article! Restoring my Fiero and begining the audio upgrades now!